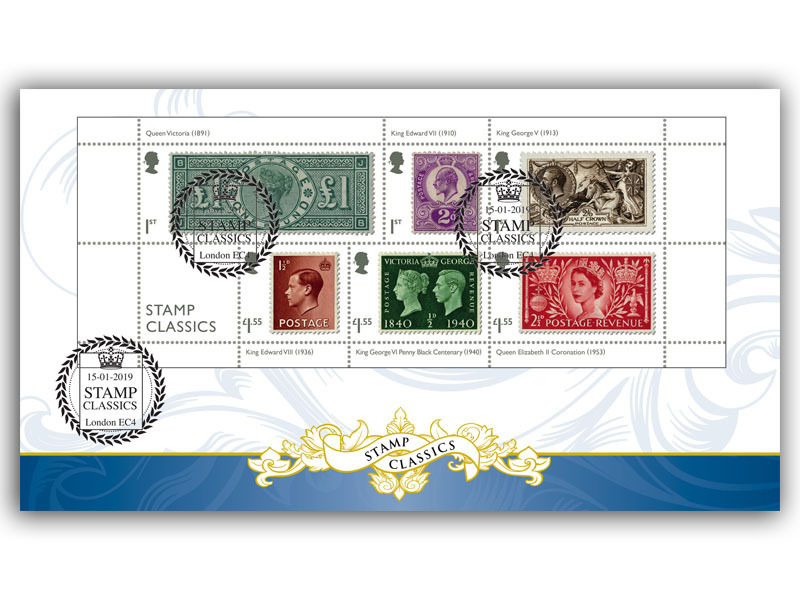 We now have 179 years of British Stamps behind us and so when the first issue of 2019 is Stamp Classics, did Royal Mail make the right choice? What would you have chosen? As you asked, or did not, I thought I would start the ball rolling with my thoughts and we would be happy to add your comments. The first question is do you need to issue something that has not been done before? The Royal Mail archive was dipped into for the 2017 Machin issue, but though interesting, I think people like to see stamps they have used on their stamps. So there we have it the gauntlet has been thrown down, let us have your list of six classic stamps, and thoughts and the new miniature sheet that is issued today! P.S If you haven’t already seen our FDC designs, get yourself over to our website or click the image below!